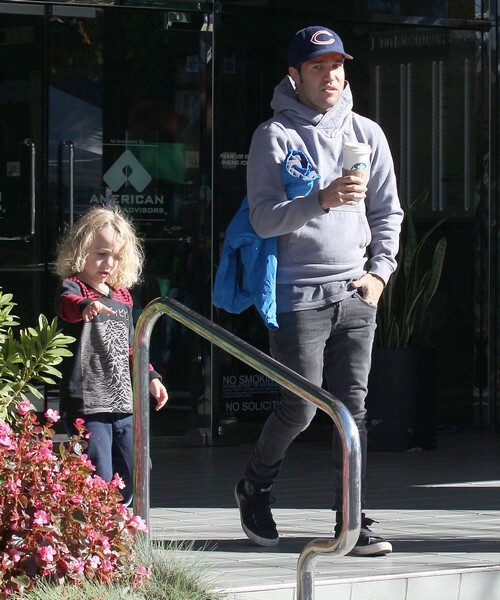 Pete Wentz is ready to take his son, Bronx, and file for full custody now that his ex-wife Ashlee Simpson is becoming addicted to the booze. The singer has been drinking so much in recent months that she has security phone up her friends to collect her from the nightclub, which is not only giving the family a bad name, but it’s also worrying to Pete who is so close to his son that he wouldn’t want anything happen to him. Ashlee has clearly been affected by the whole drama her family has been going since last winter after her dad, Joe Simpson, allegedly had a gay affair with another man who he spend thousands of dollars on. He also took half a million dollars from his and soon-to-be ex-wife Tina’s money and used it for a lavish holiday for him and his male companion. So, it looks like the split from her mom and her dad may have been the problem behind Ashlee’s downfall, but still, you gotta stay strong – you have a child to worry about. “Tina is heartbroken over the situation. She’s been very hands-on with Bronx and loves spending time with her grandson. But, with the situation as it is, if Ashlee doesn’t sort herself out soon, Pete believes he will have no option but to go to the courts to get this matter resolved.” What a terrible thing! We know Pete only wants the best for his son and rightfully so, but hopefully Ashlee can sort her life out to prevent this form happening.